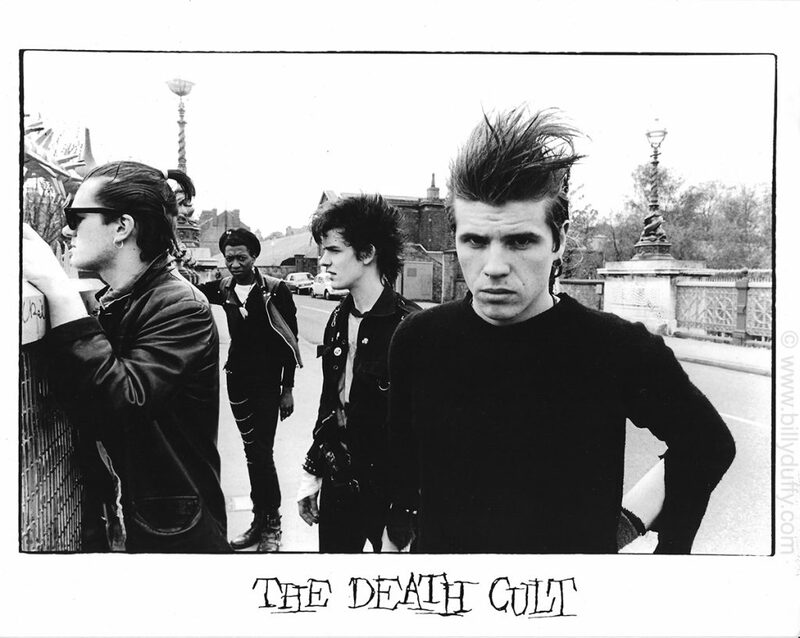 “This was also taken on the first ‘full band’ Death Cult photo shoot with Bleddyn Butcher in 1983 which all took place close to the Whittington Hospital in Archway London where I’d worked in 1981. This one was taken on a tall bridge over a main road which was known locally as “Suicide Bridge” (for obvious reasons). I'm not sure who suggested this but I don't think this picture was used much... which was good, as in retrospect it was rather bad taste."